The recent sharp correction of equity markets and the increase in yields which have materialized since the start of the year have created a turbulent phase, interrupting the “Garden of Eden” kind of setting which investors were getting used to. The VIX index spiked above 37, a level not seen since 2015. All this came after a very rewarding year for investors. In 2017, the S&P index recorded a positive performance in almost every month of last year in a context of exceptionally low volatility. Eighteen out of the 20 lowest levels of the VIX of the last 20 years were printed in 2017. Market complacency led many investors to ignore the extreme valuations alerts and to enter overcrowded trades. 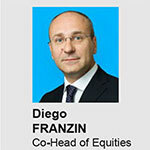 After the sharp correction in the equity market and the realignment to higher inflation expectations for yields, the main investor question is: Are the unique conditions which have supported the long phase of asset inflation set to continue? We expect the synchronised global growth scenario to hold, even accelerate, with some good news from capex and a rebound in global trade, but Central Banks (CB) outlooks are becoming more challenging. 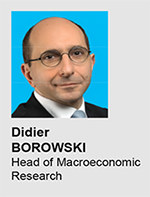 CB have played a powerful role in the “Goldilocks narrative”, and a potential withdrawal of the ECB or the BoJ from their massive stimulus programmes – no longer consistent with strong economic conditions – could trigger other episodes of turbulence in the market. In this respect, volatility was clearly absent in 2017 and market complacency partly influenced investor judgement. While valuing the structural improvements of economies, the strong earnings growth visible in many areas and the very significant progress of EM in terms of rebalancing, we observe that markets’ attitudes were (and are) often asymmetric, favouring friendly news and disregarding risks. Geopolitical turmoil was largely ignored. Concerns about medium-term imbalances, such as the continuous increase of aggregate debt or the misallocation of capital caused by artificially low interest rates, are currently being ignored and likely won’t be addressed for some time. A mix of loose financial conditions, global growth and complacency have led markets to high or even extreme valuations (in some areas). Together with the very gradual but established process of monetary tightening, this creates less positive conditions for financial markets in the second part of the year. Investors are likely to face more challenging conditions, in which economic outlooks will still be favourable, but some areas of expensive valuations and exuberance will leave the market more vulnerable to further corrections (i.e., highly indebted corporates that could be negatively affected when interest rates rise). Risk management and effective diversification would become priorities in this situation. We could potentially see sharp spikes in interest rates and a selloff in equities to occur in a market with depressed volatility and high complacency. Asset class correlations could change, with a significant negative effect impact, in times of turbulence. So, it is crucial to pursue investment strategies that would preserve investor capital in any circumstance, and to set these now, when financial conditions are benign and it is easier to maintain portfolio liquidity. For fixed income, this means focusing on flexible duration strategies and credit risk, looking for the critical risk/return balance, and increasing sources of diversification. For equities, the focus should be on the areas where positive future developments are less discounted (EU, Japan) or could benefit from an extension of the reflation story (US). For both equity and fixed income, but also for multi-asset, as the cycle becomes mature, it will be important to extract returns from relative value stories more than from directional risk on /risk-off exposure. 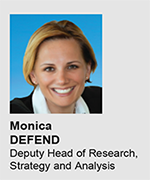 Balancing short-term and tactical strategies with long-term investments (even accounting for an illiquidity premium) should support the creation of more resilient portfolios. 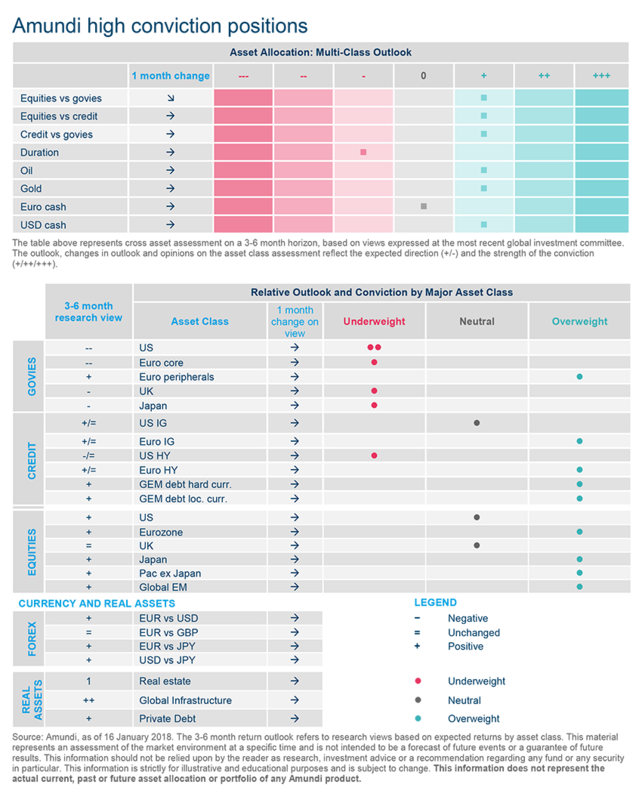 Multi-Asset: we enter 2018 with a moderate risk-on attitude. 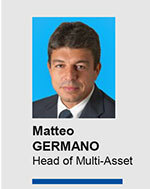 On a cross-asset basis, we prefer DM equities to HY debt. 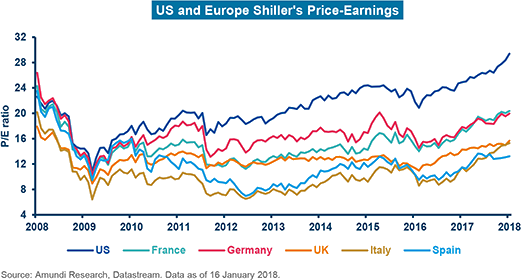 We focus on equities that should continue to exhibit a buoyant earnings cycle and decent valuations (Europe and Japan) or could see an extension of the current cycle (US). To respond to the recalibration of CB policies, we adopt a flexible approach regarding fixed income and global FX. We look for opportunities in EM equities on the back of improving macro and micro fundamentals, and in EM debt as a source of carry. 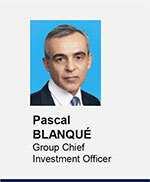 We focus on structural hedges and effective portfolio diversification while maintaining appropriate liquidity buffers. Fixed Income: the recalibration of monetary policies should increase the upward pressure on rates, so investors should remain short duration. In credit, tight valuations don’t leave much space for further spread compression, so we expect the carry to generate the bulk of performance in 2018. 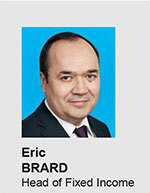 EM bonds remain attractive as a source of carry. We are more constructive in local currency bonds, amidst higher expected returns. In fixed income, broadening the source of diversification (duration, credit, FX, and type of securities – i.e., inflation linked bonds, loans) will become increasingly important. Equities: the global earnings expansion should continue to support global equities, with potential outperformance from cyclical sectors and possible corrections from overbought territories. Some areas of the global and US markets (Growth) are priced for perfection while we still see opportunities in Value. 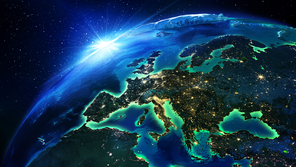 We maintain a positive stance on European equities, where we continue to focus on idiosyncratic stories. We also maintain a positive view on Japanese equities, due to improving corporate governance, and improving nominal growth. 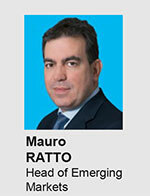 EM equities remain attractive, owing to earnings growth and a quite favorable technical market positioning. Real Assets: as the need for a transition from cyclical to a more structural recovery will be at the forefront for policymakers in the years to come, we believe that infrastructure investing may provide an interesting opportunity to both diversify risk and enhance returns, with some opportunities providing excellent predictable cash flows, owing to very strong and long-term contractual frameworks (e.g., French energy transition). However, as the asset class is very heterogeneous, a selective approach is recommended. EM = Emerging Markets, DM = Developed Markets. Recent CB communication suggests that they would prefer to stay "behind the curve", at least for a while. The continued synchronised expansion of the global economy in 2018 is now the subject of a broad consensus. We expect a slight acceleration of global growth, from 3.8% in 2017 to 3.9% in 2018, driven by both DM and EM. 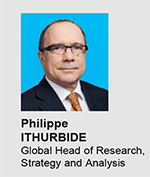 However, this cycle could break down on two pitfalls: a synchronised tightening of monetary policies, following an "inflationary surprise", or a correction in real and financial assets. We discuss these points below. Surveys indicate that the economy remains buoyant at the beginning of the year. In the US, the tax cuts will boost activity in the coming quarters and the economy will soon enter its 10th year of expansion. The Eurozone is recovering well: the EU Commission's sentiment index is at its highest level since the birth of the euro. As a result, we expect growth to reach 2.4% in 2018 (more than two times higher than potential growth and 0.2% higher than consensus). In Japan, the cycle – supported by global trade and investment – will be the longest since WWII. Finally, China should slow down in an orderly manner, with non-financial corporate debt under control. If business cycles do not die of old age, they can, however, stumble on the imbalances produced. Accumulated debt (public or corporate) is a threat to medium-term stability. However, the current environment of robust growth and low interest rates is conducive towards deleveraging. The length of the expansion cycle should not obscure its lack of vigor. This is explained by the weakening of global potential growth (due to an aging population and low productivity). Potential growth is now estimated to be just over 1.5% in the US, 1.0% in the Eurozone, around 0.7% in Japan and 5-6% in China. Despite the length of this cycle, the global output gap will not close until this year, for the first time since the GFC. On the inflation side, 2018 is thus the moment of truth. While consensus estimates are rising on price pressures, the magnitude is very uncertain. From an economic standpoint, the risk of a sudden rise in inflation (even if this risk is very low) is to be taken seriously because neither the economic agents nor the CB are well prepared for it. How might CB react? Their recent communications suggest that they would prefer to stay "behind the curve", at least for a while. The reasons behind this are both practical and theoretical. Raising key rates too quickly (and abandoning asset purchase programmes) would cause a general tightening of monetary and financial conditions. Resulting financial turmoil would weigh on economic outlooks. Indebted agents, weakened by the increase in interest charges, would be forced to lower their expenses, which would result in lower investment and less consumption. The global cycle would turn and inflation would soon slow down again. In other words, a posteriori, a rapid increase of CB key rates would look like a monetary policy mistake. A theoretical argument allows CB to avoid making this mistake. Inflation has remained excessively low for a long time; CB can let inflation exceed targets, the time to compensate for the "lack of inflation" observed in times of crisis and then of recovery. Since price stability is not in question, inflation expectations should remain firmly anchored. The BoJ has already communicated its position in this sense. Ben Bernanke has recently put this argument back on the front burner for the Fed. Thus, to our minds, the debate is just starting. The very good start to the year for equity markets has been abruptly interrupted by an important correction. The roots of the sell-off:As the last US job market report highlighted the return of some wage pressures, inflation scare and the perception of a Fed behind the curve quickly spread in an overstretched stock market causing a disordered reaction, as market technicalities triggered relevant stop losses. Higher volatility may well last for a while, likely comeback from the depressed levels that we have seen over the last few years. While for the time being we remain cautious, we believe investors should be ready to actively exploit opportunities which could be brought by this wave of volatility resurgence (consistently with a late financial cycle regime transition). Fundamentals still supportive:The positive macro and micro fundamentals do not justify the recent market movement. We have been waiting for signs of wage inflation for a while, and the fact that they are finally emerging confirms our positive economic outlook. Besides, we think that inflation scares are misplaced, as the pass-through of wage inflation to core inflation is limited. While the economic backdrop improvement is confirmed, the global earnings reporting season proves robust across the board and consistent with our view that EPS cycle is key to pave the way for continued constructive equity returns. So, the solidity of fundamentals remains intact. Risk assets in overbought territory called for capital protection in the short term. We reiterate our call for a smooth transition from an asset reflation regime to a late financial cycle phase, and for a progressive rebalancing between monetary and fiscal policies. Financial conditions remain loose, but global liquidity is diminishing, as CB’s balance sheets are set to shrink. With a reduced boost from quantitative easing in DM and with interest rates potentially moving higher, 2018 will probably offer lower returns and higher volatility for most asset classes. 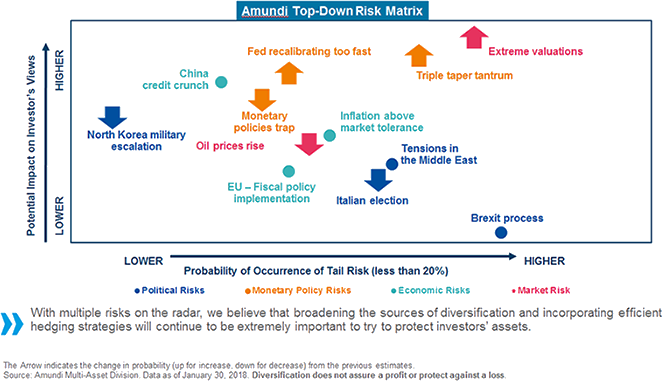 The main risk we see is that CB’s efforts to maintain growth, inflation expectations and financial stability at the same time could pave the way to financial imbalances. We start the year with a constructive view on risk assets (equities in particular) given the positive macro outlook, the rebound in capex and the strong projections for EPS growth. However, valuations are still expensive in many areas, so we keep a cautious stance. Therefore we suggest an increased focus on relative value stories rather than a directional risk-on/risk-off approach. Hedging strategies are also crucial to navigate a phase of higher volatility ahead. Whilst we maintain a risk-on attitude, we believe that investors should be ready to reduce and rotate risk during 2018. In the short term, stock market corrected from the overbought levels, but volatility could stay high for a while. 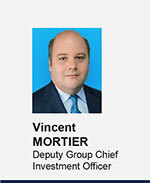 In risk assets, we still favour equities – particularly Europe and Japan, and we prefer them to HY corporates. In fixed income we expect German rates to rise, supported by the ongoing economic expansion. We are still constructive on IG European credit which we prefer to govies for carry. We expect real yields to increase in the UK as the spread vs the other developed countries is at historical high levels. We see value in EU, US and Japan inflation break-evens. In the EU, 10yr inflation expectations are low in historical terms and also when compared to current headline inflation; core inflation is still depressed. In the US, there could be a temporary inflation boost from higher oil prices, but then we expect inflation to stabilise around the Fed’s target. We see relative value in the Swedish curve, which we expect to flatten as the Riksbank gradually move towards a more hawkish stance, due to a solid economic backdrop (both growth and inflation), and in the context of negative rates. We see opportunities in the FX market, in particular in the Norwegian Krona vs the EUR based on oil trending higher and the Norwegian CB having shifted from a dovish stance to a hawkish stance at their December 2017 meeting. Sterling has been supported by hopes of meaningful advances in Brexit negotiations, but we expect more volatility and downward pressure in the future. One of our major concerns is the extreme valuation of some areas of the market. The correction we were calling has materialized but further adjustments may be possible. Tactical risk reduction, option strategies, and appropriate cash buffers would help to smooth the effects of temporary corrections but there is a risk that magnifying factors (ETFs, crowded trades) kick in. Gold exposure should help to protect investors in case of escalations in geopolitical turmoil (Middle East, North Korea) but also in the event of bear bond markets should Central Banks become too aggressive in removing monetary stimulus. We expect linkers and real asset in general to protect in case of an unexpected and persistent rise of inflation above CB targets. With the continuation of monetary policy normalization and below-average spread levels, carry will be key in 2018. Markets are starting to price in more aggressive monetary policies and gradual rises in inflation expectations: the two-year Treasury note broke the psychological threshold of 2%, (not seen since Lehman crisis). With the US tax reform now approved, we expect three rate hikes from the Fed in 2018. The Fed should continue with its gradual withdrawal of the monetary stimulus, with the risk of staying behind the curve if economic conditions further accelerate. More news from the ECB (i.e. revising the forward guidance) and BoJ (revising the 10 year bond target) would likely drive further volatility in bond markets. Given this backdrop, flexibility and diversification regarding sources of returns will be key, as will be searching for the most valuable carry opportunities. We see opportunities for active investors in relative value strategies; this is less the case regarding directional risk-on/risk-off angles. With no value in core government bonds, we believe investors should retain a short duration stance in both the Eurozone and the US. We also have a negative view in UK and Japanese government bonds where valuations are unattractive. We do see pockets of value in European peripherals. Concerning curve opportunities, the US curve has started to steepen following the repricing of inflation expectations in the US. In Europe, we see some value in the five-year bucket. Demand for credit remains strong, given a positive economic backdrop. Corporates fundamentals appear to be sound with many companies showing healthy balance sheets. Companies have refinanced debt, benefitting from record low costs of funding, and this is positive regarding interest coverage ratios. Carry should be the main performance driver in 2018, as there is little room for further spread tightening. Subordinated debt of both financials and non-financial companies is attractive. High yield bonds may also offer opportunities, while convertible bonds could be a source of diversification in fixed income. In the US, corporate credit offers moderate value, in an environment in which fundamentals remain relatively stable. High yield, including bank loans, offers some value with below average spreads partly explained by well-below-average default rates. But selection is increasingly key. In EM as well, carry should be the main performance driver in 2018. Key themes for the year will be elections, including for major Latam countries (Mexico, Brazil, and Colombia among the most important ones) and the evolution of the Fed policy. We are more constructive on local currency bonds which show higher expected returns. Opportunities may be found in EM corporates (short duration), amid a continuing recovery in earnings and the low default rates. In sovereign bonds we have recently become more constructive on Brazil and Argentina where the economic momentum is improving and the political risk has normalized (Argentina) or is expected (Brazil) to normalize. change in interest rates, expressed as a number of years. Earnings growth optimism in the market: main risk is market complacency. The pause we were calling for finally arrived in the market, opening new opportunities for entering the market at healthier levels. This year’s strong start for equity markets reflected the optimism regarding a continuation of the positive earnings outlook, in a context of solid (and accelerating) global growth. Capex revival is an emerging theme which could support the continuation of this strong market environment. Fundamentals of the market are still very positive, but caution is warranted as the market remain vulnerable to corrections. Attention to earnings sustainability will remain key in this phase. After a period of relative underperformance vs other DM in 2H17, we expect EU equities to return to the spotlight, thanks to a virtuous circle of strengthening economic outlooks, good EPS momentum, increasing capex and dynamic M&A activity both in large- and mid-caps. We still favour cyclical themes, and selective idiosyncratic stories. A risk in the market is a stronger appreciation of the euro, but this should be well balanced out by the other positive forces mentioned above. So, we expect EPS growth to remain around 10% in 2018. 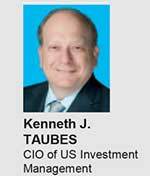 Risks regarding US equity remain more due to tactical issues than to fundamentals. EPS growth is very strong in the US and tax reform is further reinforcing this situation: the effect of the tax reforms, in our view is not fully incorporated into EPS forecasts, and positive upside revisions are still likely in this first part of the year. Some areas of the market (Growth) are very expensive, but we still see opportunity in Value, supported by better earnings growth due to the tax reform and robust nominal GDP growth. Tax reform should also provide additional upside for specific consumer and retail stocks whose valuations reflect broken business models. The housing repair and remodeling theme is strong and accelerating with a still attractive valuation. Clearly, due to the extension of the bull market despite the recent correction, stock picking and sector rotation are key to avoiding the most overcrowded trades and providing quality at reasonable prices. Q3 reporting season closed with a very good positive momentum. Investors’ flows are coming back. We see room for flows to rise further, due to the positive earnings outlook linked to the synchronization of global growth and improving productivity. Valuations are relatively attractive compared to DM. Asia is the most appealing area (China is attractive, while India is a bit expensive), followed by EMEA (linked to the European renaissance theme) and LatAm. The latter is exposed to the risk of NAFTA negotiation and the heavy electoral cycle in 2018. The commodity outlook could improve the picture. In Brazil, we believe it worth playing themes related to the gradual but ongoing economic turnaround. At the sector level in EM, we favour cyclicals (especially financials and tech) over defensive. The EPS forecasts remain supportive for IT, but we expect this situation to become more widespread among different sectors (such as consumer discretionary) in 2018. The Solvency II Delegated Regulation is likely to further boost long-term investment in infrastructure. 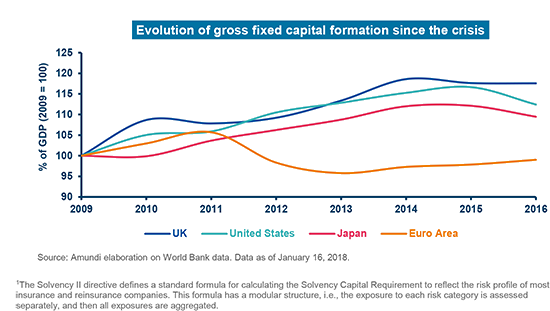 Infrastructure investment in Europe has been adversely affected by the economic crisis, and its growth since then has been lower than for other advanced economies. In order to help stimulate long-term investment in European infrastructure projects, the European Commission enacted in June 2017 an amendment to the Solvency II Delegated Regulation to lower the Solvency Capital Requirement (SCR) for qualifying long-term infrastructure investments for insurance companies that apply the Solvency II’s “standard formula”1. The new capital rules may reduce by up to 30% the capital charge for investments in infrastructure projects. The low interest rate environment has led institutional investors to seek out investments offering both higher returns than government bonds and IG corporate bonds and also a steady source of income. 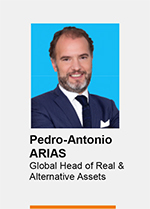 In this context, infrastructures may provide a different kind of alternative, no longer based on balancing risk and yield, but rather on a balance between return and liquidity. This is particularly relevant for insurers, as a part of their liabilities are rather illiquid. So, in reasonable proportions, they can integrate more low-liquidity assets into their portfolio, and this will help them reach their target level of return. Taking a long-term view of their investments makes stable cash flows more attractive than short-term gains. Diversification is also important, both against other investment risks and against the underwriting risks taken by the insurers. Regulators do assess infrastructure-related risks more favorably than they do for other assets. Thanks to protection in terms of regulation, volumes or costs, infrastructure may generate more secure cash flow than other assets. This attractive risk profile is the reason for preferential prudential standards. What could be lurking around the corner? For an investment to be “qualifying” and eligible for favourable prudential conditions, infrastructure corporate projects will have to be compliant with an extensive list of eligibility criteria, aimed at protecting investors, covering both the income-generating prospects of the infrastructure project and the security of the financing package for investors, as well as the insurer’s ability to assess the risks of its investments. Ultimately, the decision of applying a 30% SCR or not is the responsibility of the insurer under the national supervisor’s oversight. Consequently, insurers find it even more difficult to benefit from the prudential advantages, especially because the conditions for its implementation are subject to interpretation, which causes a barrier to entry. Insurers could be worried that the new infrastructure investments selected by investment funds may nor actually fit the regulator’s legal requirements needed. To overcome these challenges we believe that investors should consider working in partnership with industrial experts to gain access to infrastructure projects and improve diversification to investment portfolios, and with professionals that can guarantee that the infrastructure investments are compliant with current regulation.